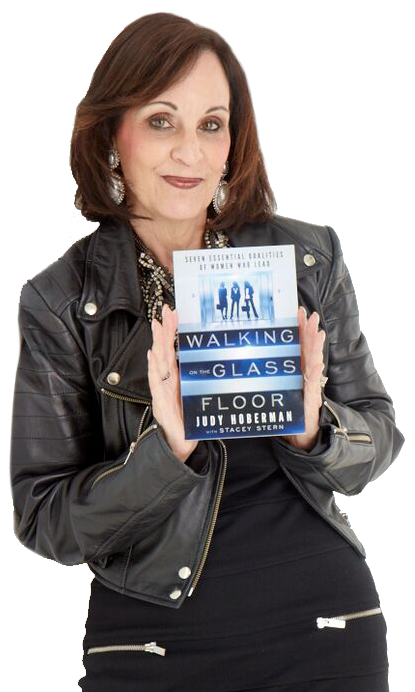 Author, speaker, sales trainer, coach, consultant, Executive Director of the Walking on the Glass Floor Foundation and President of Selling In A Skirt. I have created a suite of workshops, seminars, and coaching programs that take the negativity out of selling. My mission is to join forces with industries and individuals to create an environment where women in leadership thrive. Women lead multidimensional lives, so it should not be surprising that their various leadership roles have many dimensions. Just as Stephen R. Covey’s The 7 Habits of Highly Effective People provided a principle-centered approach to problem-solving, Walking on the Glass Floor presents the seven essential qualities that can successfully guide women through the ups and downs of their many leadership roles–in the workplace, in the community, and in the home. Drawing on her vast experience as both a corporate executive and successful entrepreneur, Judy Hoberman has created a confidence-building playbook that will empower and energize all readers! Where you will be five, ten, or even twenty years from now has everything to do with the choices you make today when it comes to the books you read and the people you surround yourself with. This book is one that will change the trajectory of your business and your life forever. It offers real tools for growing into the leader you were born to be. It also gives you a blueprint for selecting passionate, authentic, resilient, and generous women as leaders within your company and within your circle of influence. Walking on the Glass Floor: Seven Essential Qualities of Women Who Lead is the game-changing playbook you’ve been searching for. Judy touches on all the key essentials of being a woman leader, but she does it by showing you who you are, unlocking your gifts, and setting you in your power. I love her direct approach. Reading her book is like having a conversation with your best friend over a cup of tea, only your best friend has years of experience and seems to know the truth and potential of your heart and soul and the precise steps to take. What more could you ask for? Judy addressing the topic of resilience for women in leadership is a five-star move. Resilience and courage to lead are essential skills for leaders at any organization that wants to retain staff, build respectful workplace, and grow leaders from within. This is a must-read book for leaders and teams. Watch Judy Hoberman rally the crowd at TEDx Turtle creek. 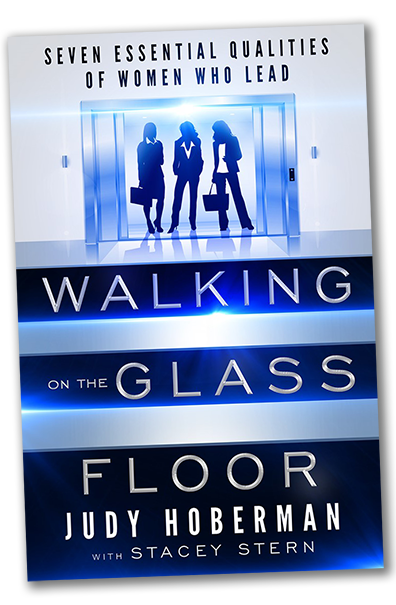 Walking on the Glass Floor is an engaging, indispensable guide for women in leadership. 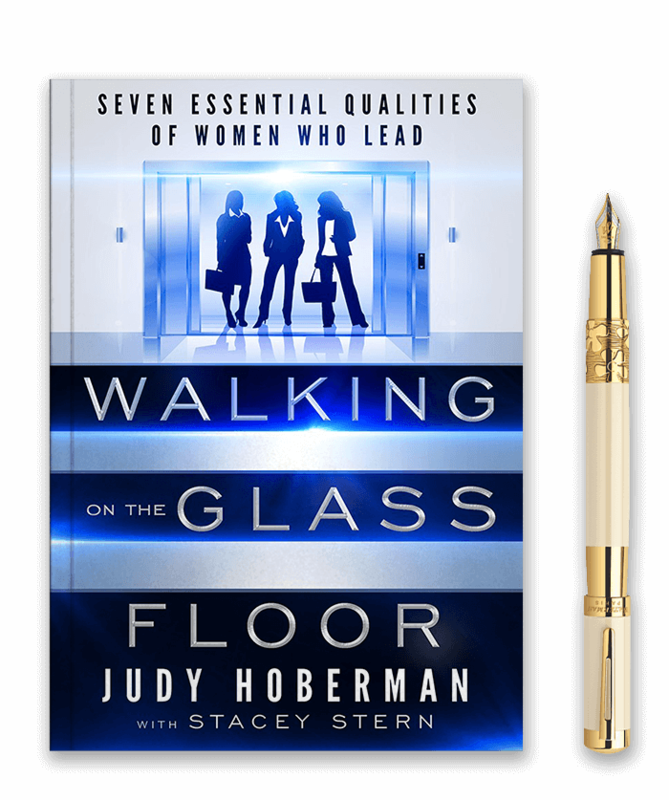 Whether you are a seasoned professional who has crashed through the glass ceiling and are now walking on the glass floor or you are an emerging leader who wants to establish strong footing, this book is for you. Become a WALKING ON THE GLASS FLOOR insider. You’ll receive subscriber-only resources you can’t get anywhere else. Don't worry. This is a no spam zone.